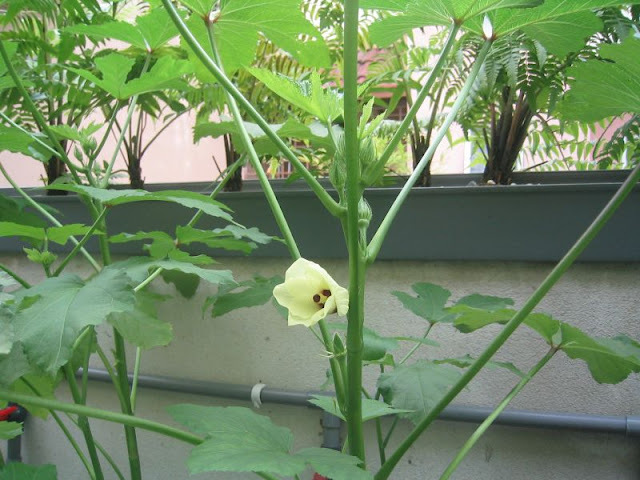 The Okra is flowering. This one just flowering today, over the weekend I was away and earlier another flowered. 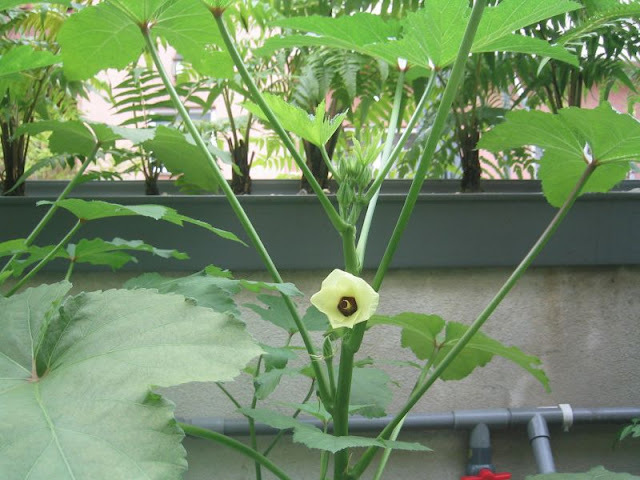 Some of the Okra plant do well, especially those near the water inlet. Further away from inlet, they are not as big as these. 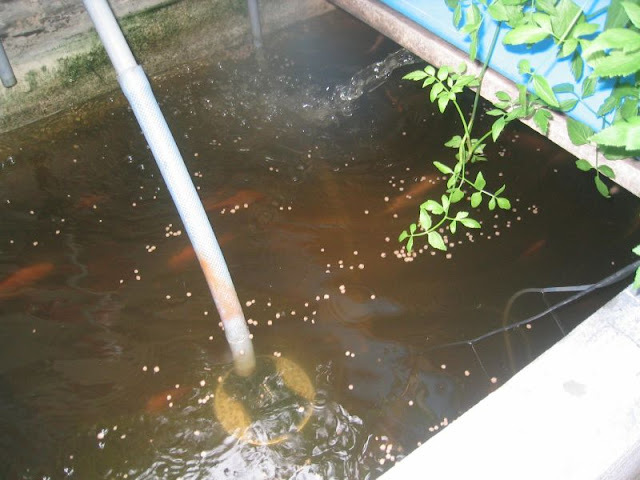 From the difference in size within the same growbed, shows that fish solids do play some important role in providing nutrient to the plants. Next time I'll redo the water inlet so that fish solid are evenly distributed within the bed. 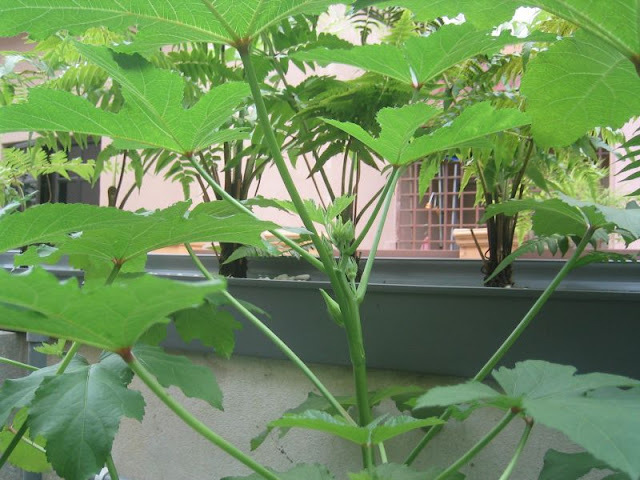 Okra suppose to be one of the best vegetable for our health, high in vitamins and fibre. Its gentle on the stomach and intestine due to the slimy fluid within the okra and because of the high fibre its good for cleaning our digestive track. Underneath the Okra, I planted few Tumeric. 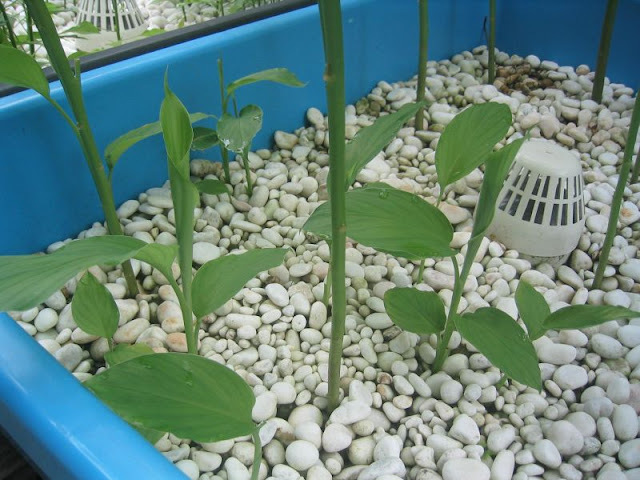 These are plants with rhizomes, I am testing these because normally they will not survive water logged soil. The rhizomes will rot and not able to multiply. We use Tumeric, either their leaves or the rhizomes. Those part that look like ginger root. I guess its more appropriate to call root then. Been raining daily, water a bit high. few more days like this I will need to adjust water level. That reminds me next round I need to put bricks underneath those growbed to make them higher so that I do not require to adjust water level even if its rain all week long.